Think of Flymo and you probably think a hover mower not a wheeled mower. 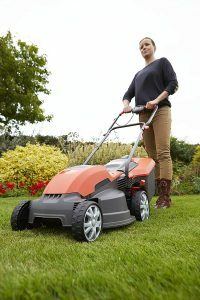 Well Flymo have designed this “Wheeled” Flymo Speedi Mo 360c mower for anybody buying a lawn mower for the first time and thanks to the 1500 watt motor providing enough power for both small and larger lawn sizes and for more experienced gardeners. The bright orange Flymo lawn mowers have been around for many years in homes across the UK and have become a name you can trust and provide good value for money. But is it any good when compared to the likes of Bosch and Worx? Well, below I’ll be detailing all the features and functions of the Flymo Speedi-Mo 360C, both good and not so good so you understand exactly what you’re getting for your money. Some prefer cordless and some Corded! This Flymo Speedi-Mo is a corded mower and needs its 10-metre power cable to be connected to a mains socket that provides a very respectable 1500-watt motor. 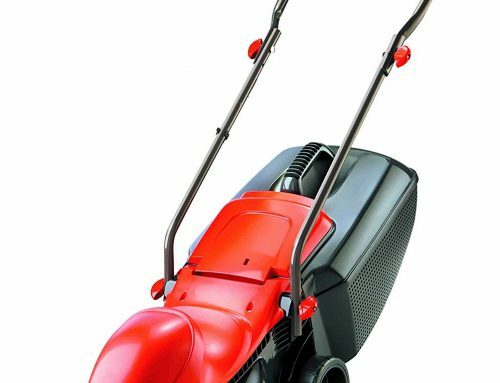 The build quality is good and with a 40L grass box that compacts the grass clippings extremely well and is easy to remove and attach to the mower. A metal blade is used on the 360c as opposed to plastic proving a good cut and allowing for the blade to be sharpened if needed. 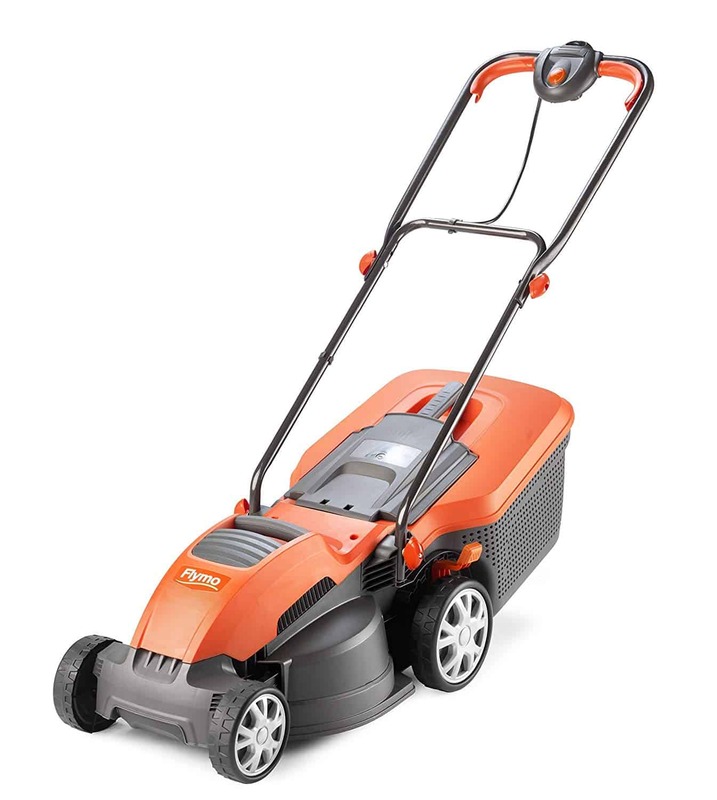 The 36cm cutting width and deck size is perfectly suited for medium to larger lawns without taking up too much storage space when not in use. There are 5 different cutting heights, ranging from 20 to 60mm which is perfectly adequate to ensure you are not scalping your lawn while being able to adjust the height for longer lawns. 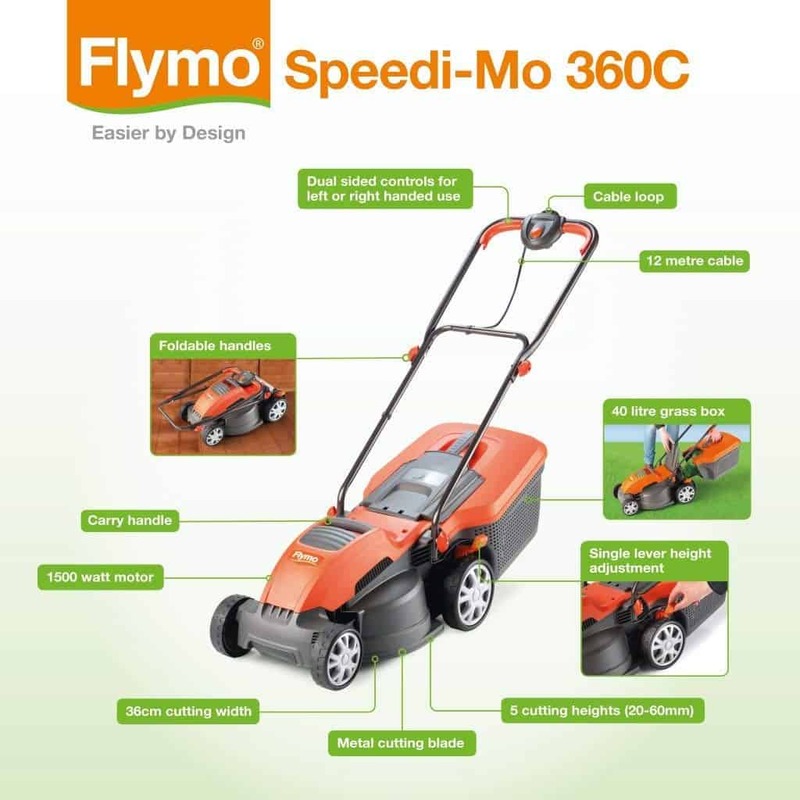 OK, lets look at this Flymo Speedi-Mo 360C in more detail and see some of the not so good features of this mower. The Flymo Speedi-Mo 360C is a corded mower powered by a 1500-watt motor and comes provided with a 10 metre power cord. There is a downside however. 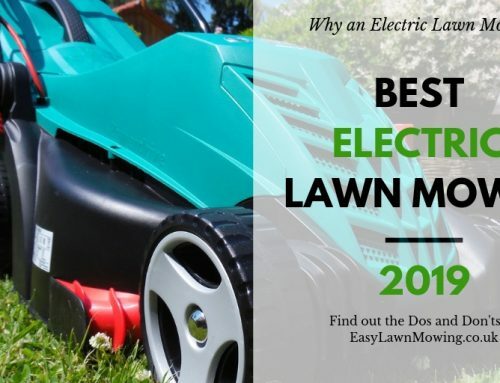 As with all corded mowers you are somewhat restricted by the length of the cord and don’t have the freedom of a cordless lawn mower, you may need to use an extension cable for larger lawns. Having said that, the Flymo Speedi-Mo 360C is easy to manoeuvre and again as with all corded mowers care needs to be taken to ensure the cord is clear of the blades at all times. On the plus side, this mower is more powerful than it’s cordless counterparts in this range/size and you won’t be running out of power half way through cutting your lawn. If you would like to compare the Flymo Speedi-Mo 360C with the cordless equivalent of the Flymo Mighti-Mo 300 then click here. Also the power system is completely electric so it produces zero emissions and works extremely quietly. Metal blades generally wear less quickly than plastic blades which results in you needing to replace the lawnmower blades more often than a lawnmower that uses a metal blade. Metal blades are generally sharper and provide a cleaner cut to the grass blade, resulting in a neater, tidier and superior finish to your lawn and garden. The metal blades on the 300 can be sharpened when needed unlike plastic blades. This again does not necessarily put it ahead of competitors but it’s good that Flymo have taken advantage of what is clearly the most effective cutting system in the market. In order to combat the changing season and to continually improve the look of your lawn, you can adjust the height at which the Flymo Speedi-Mo 360C cuts at. This is done very easily using the large lever located on rear/side of the mower. It lets you choose to cut from anywhere between 20mm to 60mm with 5 separate cutting lengths. Just make sure you don’t set it at the shortest setting from the when the lawn has significant growth, instead start at a much higher setting and gradually work your way down. This gives the areas of small grass to catch up with the long, resulting in a more even garden. Is 5 separate cutting lengths better than the competition, well no not really. This is pretty much standard for lawn mowers at this price point. 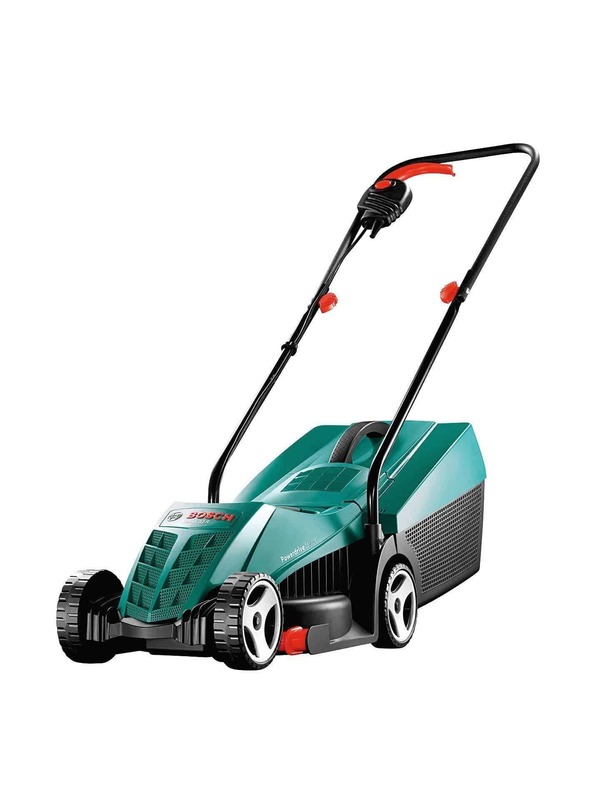 The cutting diameter of this mower (36cm) seems ideal, not too small and not too large. Now, compared to it’s counterparts with widths of up to 43cm and as small as 30cm, this might be a potential disadvantage; however, it could also be beneficial if it’s to be used in a smaller areas and lawns with narrow strips. Also, not being too small for larger lawns and not to take up too much storage room make this a great deck size. When you need a mower that’s light in weight and going to get in the smaller areas of your lawn, this may well be the best option. Yes, it will take longer to mow the entire area of larger lawns, but if it fits, and hey there’s no rush then the Flymo Speedi-Mo 360C could be the mower of choice. As with all smaller lawn mowers the grass box is not going to hold as much it’s larger counterparts, however 40 litres is a comparable for a mower of this size. 40 Litres allows longer periods of use without needing to empty grass clipping as often. The grass clippings are compacted into the grass box very efficiently and is comparable with other mowers at this price point. The grass box on the Flymo Speedi-Mo 360C is very easy to remove and the grass clippings empty from the box with no obstructions. 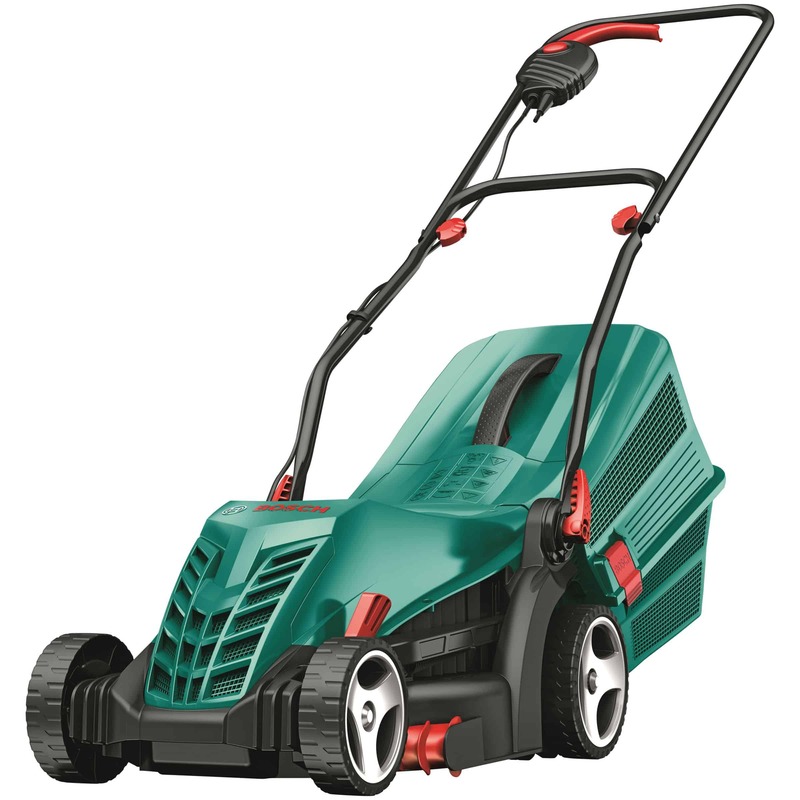 The light weight, small size and fold away handles make this mower excellent for medium lawns or lawns with smaller strips of grass whilst still being powerful enough to cut through the most demanding large lawns. 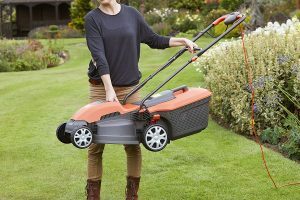 As with all corded lawn mowers, being tethered by the cord does mean you may require an extension cable for larger lawns and care needs to be taken not to accidentally cut the cable whilst mowing. We do prefer the height adjustment to be located central to the mower for ease of use, however the height adjustment on the Flymo Speedi-Mo 360C is a single lever located to to rear. Does this make it difficult to adjust the height? well, no not difficult, just a little more awkward than mowers with central adjustments. Does this make it more practical the it’s closest competition? well, yes I think it does for people with smaller lawns and limited space for storage and at only 11.4kg. 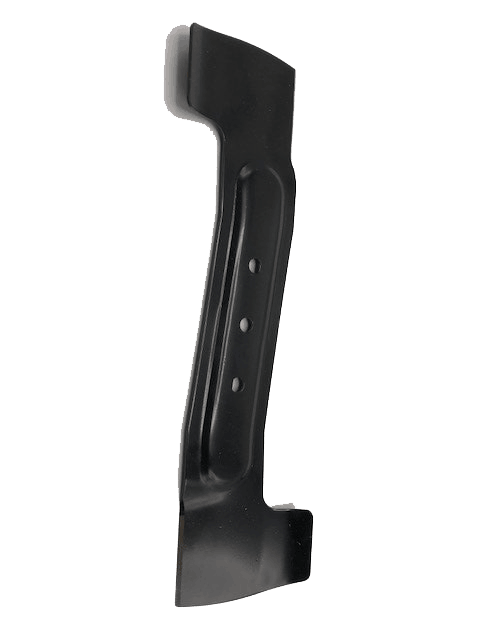 There is also a very handy and well positioned central handle that makes carrying the almost 11.5 kg mower to the garage or shed very easy. 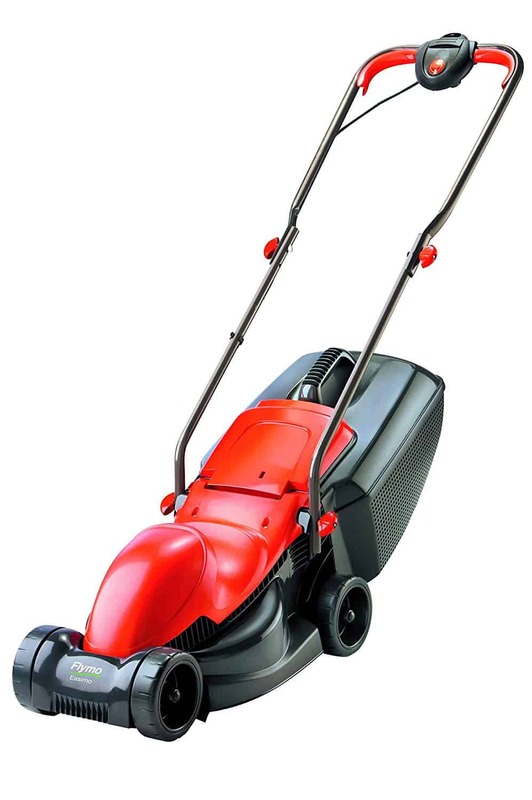 There are no removable safety keys as with most cordless mowers. 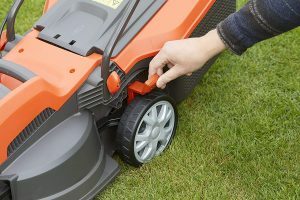 There is a standard central safety button that must be held down before the mower can be started from either one of the starter handles, so requires two hands to be started. This is standard for mowers in this range. As with most lawn mowers in this class and at this price range, there is no mulching facility with this Flymo. The two left and right power trigger seem a little difficult to keep depressed for long periods of time. They are not the most ergonomic design such as the Bosch Ergoflex range. There is no grass box level indicator as with some of the other models. Now the above may sound trivial and are common to most mowers but should be taken into consideration anyway. They are part of the package and it’s better being aware of them before a purchase than after. 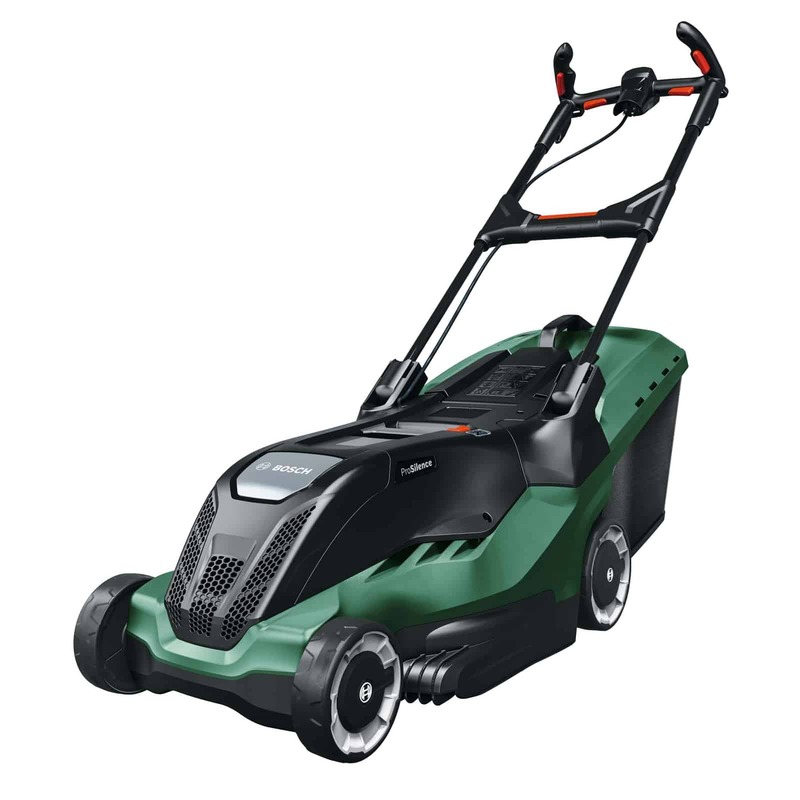 Overall this is a very good mower, and has some the standard features you would expect from any mower at this price point, besides you want features that will help achieve a lovely looking lawn with least amount of work and effort. The Flymo Speedi-Mo 360C is very proficient at cutting varying lengths and thickness for such a small and compact mower. 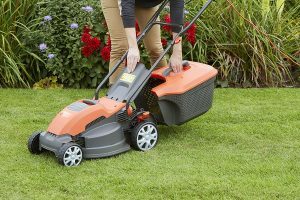 It’s worth mentioning that by cutting more regularly and avoiding very long or wet grass this should avoid not putting too much strain on the mower even though the 1500 watt motor and metal blade seem to deal very well with longer grass. What Flymo have done so well with this mower is the deck size. The 36cm deck size works well for both smaller lawns whilst being perfectly adequate for much larger lawns. 36cm seems to hit the sweet spot for any size lawn and does not take up too much room when being stored away. Nice one Flymo! 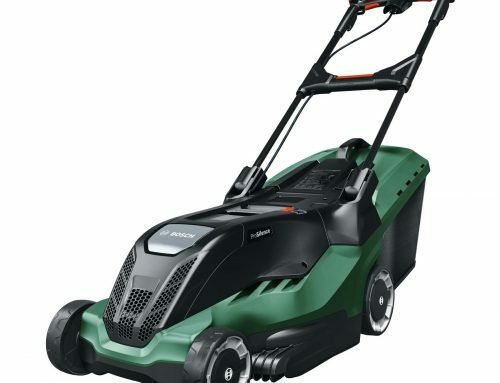 At this price range (around £90) this really gives great value for money and you would be very hard pressed to find a mower that performs this well and has such a good build quality for this price. Overall I think this is a fantastic mower and I encourage anyone looking for a simple mower that gets the job done quickly and efficiently to seriously consider this mower. 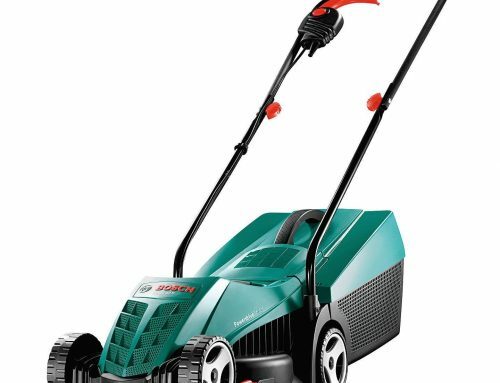 In fact I think it’s the best value wheeled corded mower you can get right now! Their lawn is medium to large in size (would recommend a 30cm – 32cm deck size for smaller lawns – 100m² or less). 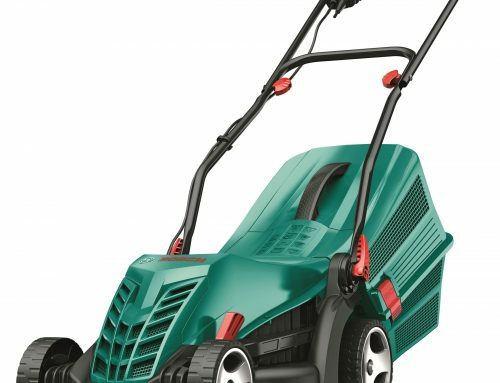 Wants a powerful 1500W motor for longer/thicker lawns. Wants very little work to assemble the mower. Do not want to spend £100 plus on a mower. Of course this is open to interpretation, so if you don’t fall under every single one then don’t worry I’m sure you’ll still love this product.